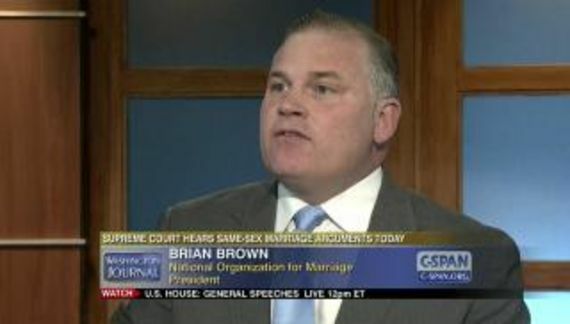 Legal progress often tracks social progress. 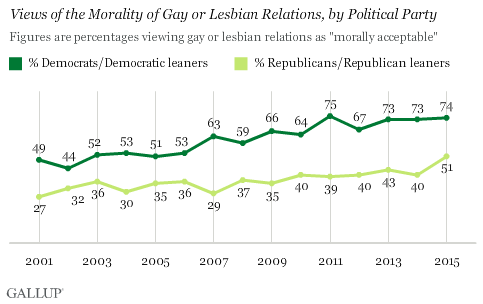 On Wednesday, Gallup released polling data that is very encouraging in numerous ways. 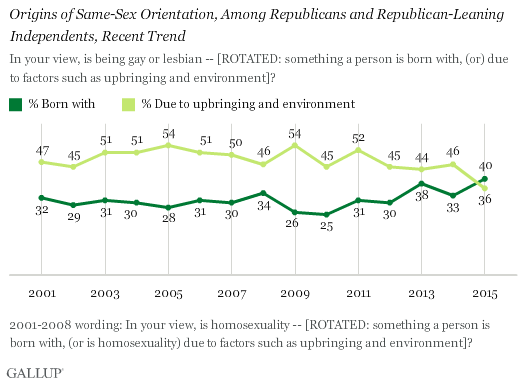 A clear majority of Americans now accept the science that sexual orientation is innate. 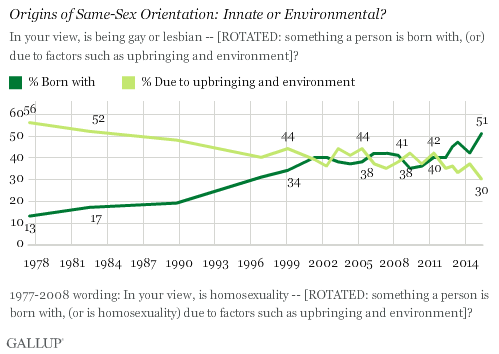 Only 30% believe that people are gay because of environment and upbringing.